One thing I see fairly often (and am occasionally guilty of myself) is using COUNT(DISTINCT) and DISTINCT interchangeably to get an idea of the number of unique values in a column. While they will sometimes give you the same results, depending on the data the two methods may not always be interchangeable. 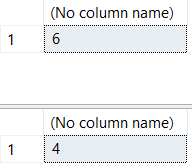 Interesting, when doing a plain DISTINCT we see there are three unique values, but in our previous query when we wrote COUNT(DISTINCT Col1) a count of two was returned. And while the SQL Server documentation specifies that DISTINCT will include nulls while COUNT(DISTINCT) will not, this is not something that many people find intuitive. Sometimes we might have to do the opposite of what the default functionality does when using DISTINCT and COUNT functions. The ISNULL here functions the same as the CASE statement in our first attempt, without having to read the table twice. However, that Compute Scalar occurring to the left of our Clustered Index Scan will start to become painful as our data size increases since SQL Server will need to check each and every row and convert any NULLs it finds. Not to mention after computing all of those ~~~ values, SQL Server needs to re-sort the data to be able to find the DISTINCT values. This last option eliminates the Compute Scalar and extra sort. While there might be even better options out there for accomplishing the same task, at this point I’m pretty happy with how this will perform. SQL Server’s documentation says that COUNT(*) returns items in a group while COUNT(Col1) return non nulls in the group. Because of this, COUNT, DISTINCT, and NULLs have a special relationship with each other that isn’t always as intuitive as many people think. Whenever using COUNT or DISTINCT, make sure to test with NULLs to make sure SQL Server is handling them like you expect. Recently I was asked how to parse text out of an HTML fragment stored in SQL Server. SQL Server is not meant for parsing HTML. Parse the data with something else. 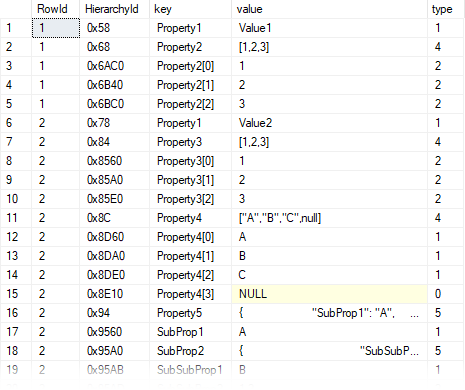 T-SQL does have functions like REPLACE, CHARINDEX, and SUBSTRING though, perfect for searching for tags and returning just the values between them. Wait a minute, SQL Server has XML parsing functions built in! Parsing HTML with T-SQL is not a great idea. It’s dirty, it’s prone to breaking, and it will make your server’s CPUs cry that they aren’t being used for some nobler cause. If you can parse your HTML somewhere outside of SQL Server, then DO IT THERE. With that said, if you absolutely need to parse HTML on SQL Server, the best solution is probably to write a CLR. However, if you are stuck in a bind and plain old T-SQL is the only option available to you, then you might be able to use SQL Server’s XML datatype and functions to get this done. I’ve been there before and can sympathize. To reiterate – you don’t want to do any of the above unless you have no other choice. The XML parsing functions will not parse all HTML, so you may need to do some pre-processing on your HTML data first (removing invalid HTML, closing tags, etc…). It works beautifully in the above example but your results may very. Good luck!